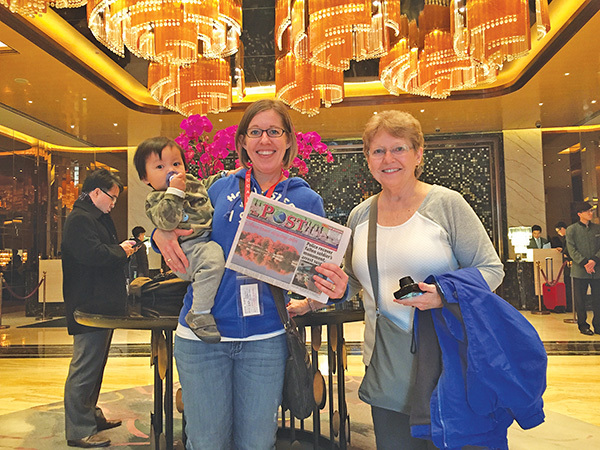 Tag Archive | "Kelly Tompkins"
The Post traveled on a special adventure in January with Kelly Tompkins, of Solon Township, and her mom, Jan Brower. The two went to China to finalize the adoption of Kelly’s son, Jase. Here they are shown at their hotel in Zhengzhou, China. What a cutie Jase is! Congratulations to Kelly and her family, and thank you for taking us with you!